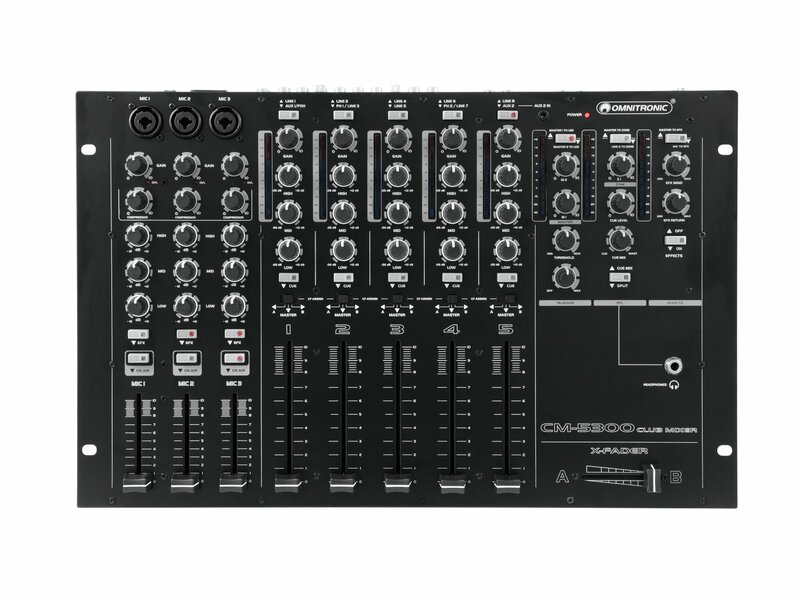 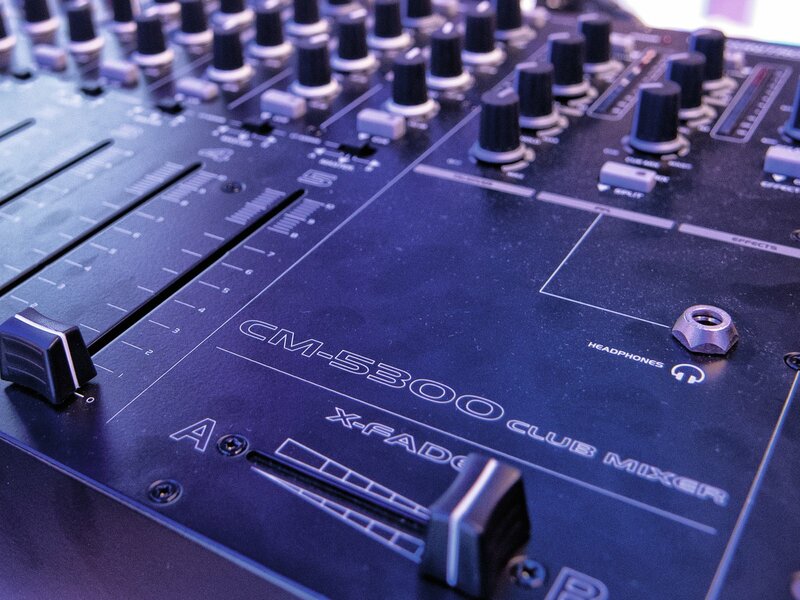 The CM-5300 is a high-grade stereo mixer with an extensive feature set for clubs and numerous mobile PA applications. 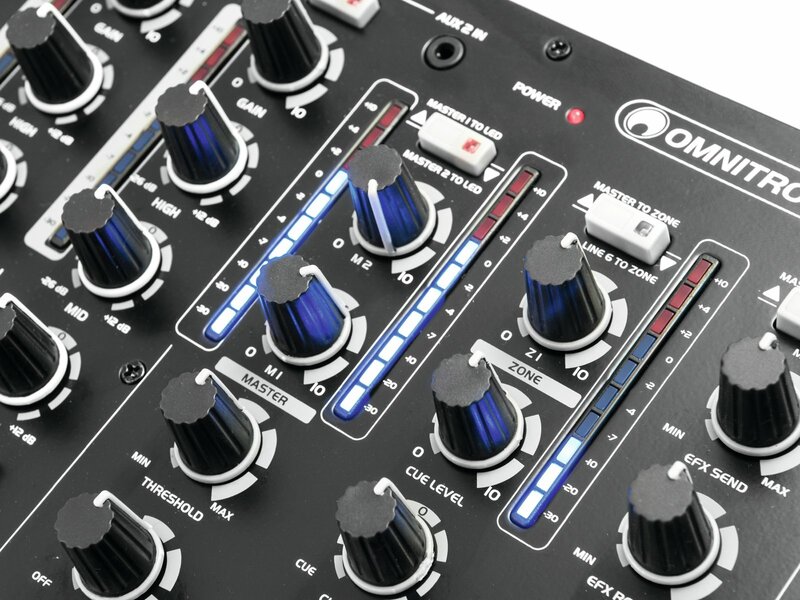 The 3 microphone channels have a one-knob compressor, adjustable talkover function and a 3-band EQ. the 5 stereo channels come with gain controls, individual VU meters, 3-band kill EQs, 100mm dual-rail faders and assignable crossfader. 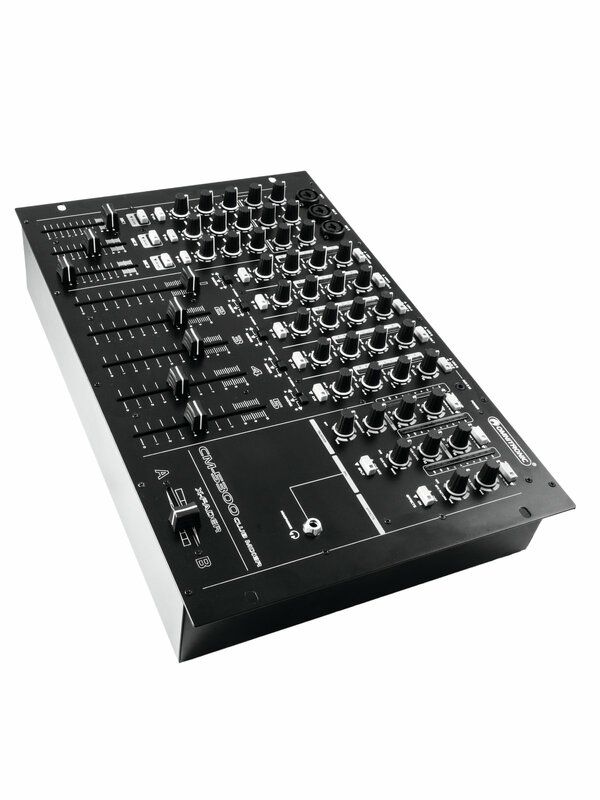 Channel 1 can be used for FOH signals, channel 6 features a 3.5mm AUX input. 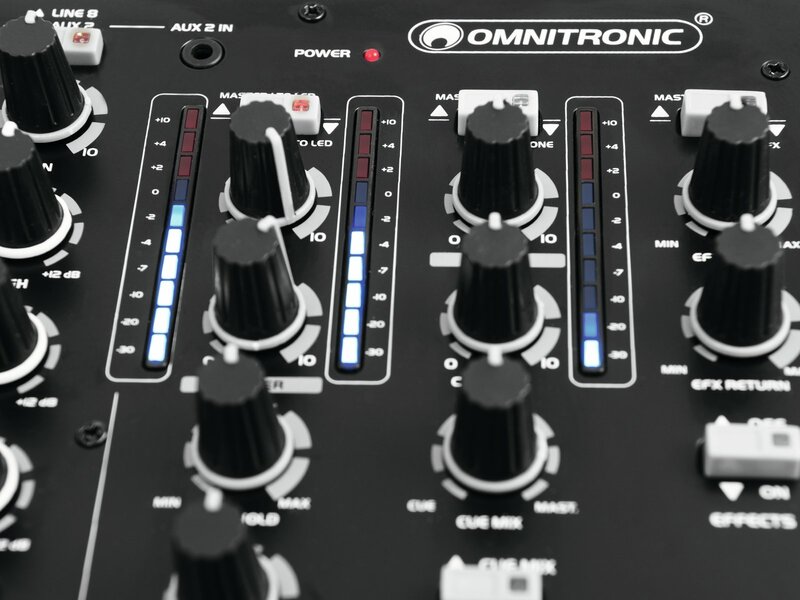 The stereo and mono output sections have their own level meters, trimmers for adjusting the maximum output level and electronically balanced XLR connectors. 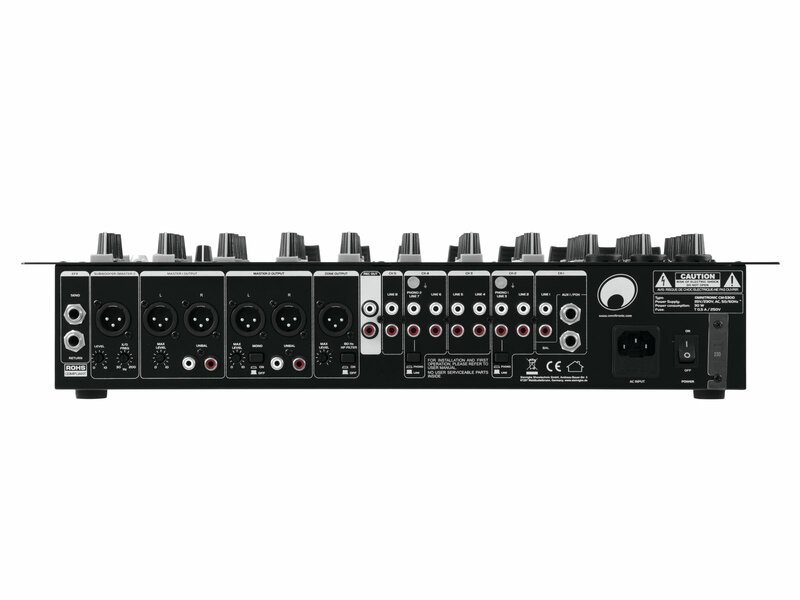 In addition, a subwoofer output with built-in active crossover is provided. 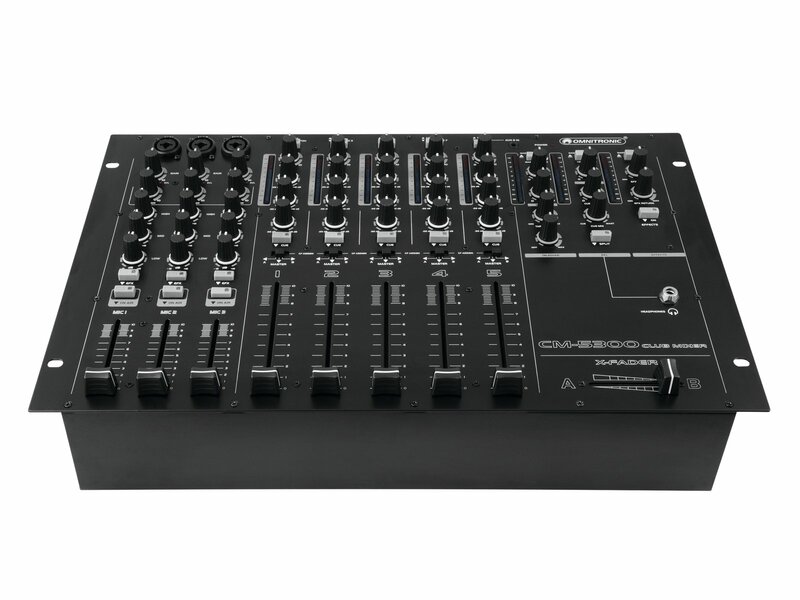 The mixer can be used as a table-top unit or installed in a rack.